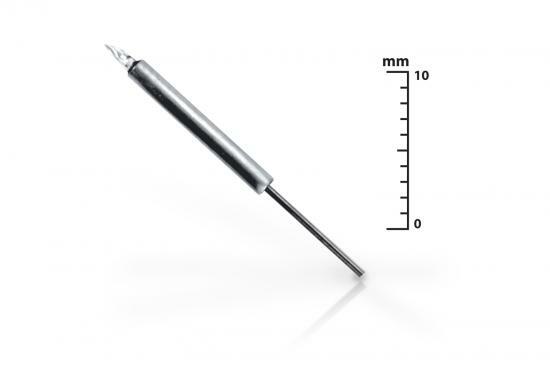 Ideal for critical linear displacement measurements, the Microminiature DVRT® delivers high performance in a tiny package. Advanced materials and electronics have resulted in a rugged, fast, and sensitive instrument, capable of submersion in aqueous environments. The Microminiature DVRT® features micron- to-sub-micron resolution, linear analog output, flat dynamic response to kHz levels, and very low temperature coefficients. Its free-sliding cores are extremely lightweight and utilize flexible, elastic, bio-compatible alloys to provide resistance to kinking and permanent deformation.